Many of us ask the question: “OK, but HOW do I keep warm?” Below is a collection of links, submitted by our members, to sites where you can buy gear that help keep us warm. My nose is still COLD. 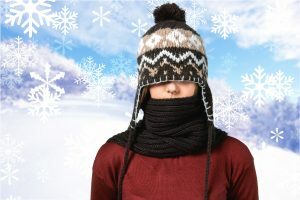 Remember if your nose, toes or fingers are cold you are too cold; so cover up, even in air-conditioned environments! Many of our patients living with cryoglobulinemia have found that avoiding cold environments and “staying warm” helps. These are suggestions from our patient community. Some people use ‘Snuggies’ at home and keep one in the car for emergencies. Cold Protection Suits for Cryoglobulinemia. Be Warm – Stand up to cold temperatures with quality heated clothing at. The Warming Store also carries Herbal Hot Pads, Heating Pads, Shield Life warming pads and allot more. What is moisture Wicking Clothing and why should I use it? For some Cryoglobulinemia patients, sweating can be a problem causing their bodies to cool down too quickly. Read more About Wicking Wear. Please note that moisture wicking clothing can be purchased in stores and online and manufactured by many companies. This is a link to a heated vest for your shoulders back and neck. It’s a bit expensive but might be worth a try. it’s from Dudegadgets. Fingerless Gloves are a must for many of our patients. Find Polypro gloves at Kathmandu. Others also to be found on Amazon. Consumers Report 2016 for Electric Blankets. Consumers Report 2016 for Heated Mattress Pads. Note: These suggestions are a compilation of the experiences of people with cryoglobulinemia. This is not scientifically based information. Cryoglobulinemia patients may have other underlying diseases, therefore symptoms may vary. Some healthcare professionals may not agree with this information.